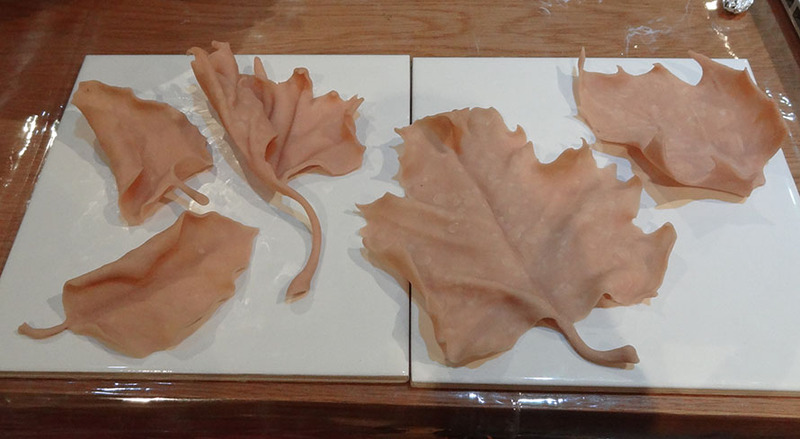 Some autumnal leaves reproduced in sculpey oven-hardening clay. These are studies for some planned carvings in wood. The table is currently covered in another batch of leaves, awaiting their turn. A second batch of leaves – these ones include oak, but were unfortunately scorched in the oven. So many exciting fumes. I did however discover that tinfoil dishes support curved leaves perfectly during baking.